Sony's Android TV uses the official Google Android OS- 5.0 version, offering a variety of TV apps from the Google Play Store. Gaming enthusiasts can connect their gamepads and indulge in superior gaming experience on Sony's Android TV. 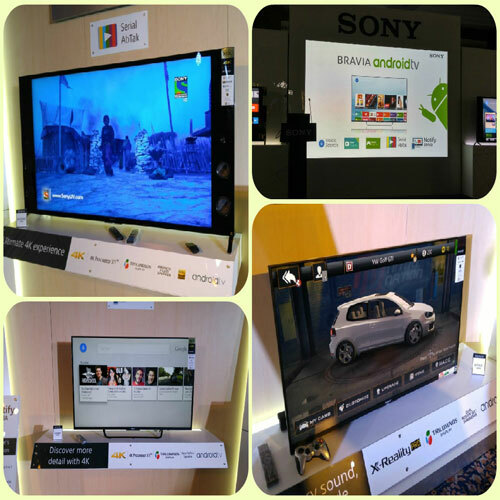 Sony's Android TV comes with exclusive Sony features like Serial Abtak and Notify BRAVIA. It offers a vast variety of Google features like Google Play Store, Voice Search, Google Cast and connectivity with accessories. The new models range from 43 inch to 75 inch and include 5 new series with 13 new models.